Pantanal's secret lies in its purest water. The Magic of the Pantanal. The Pristine Source of preB (Prebiotics). 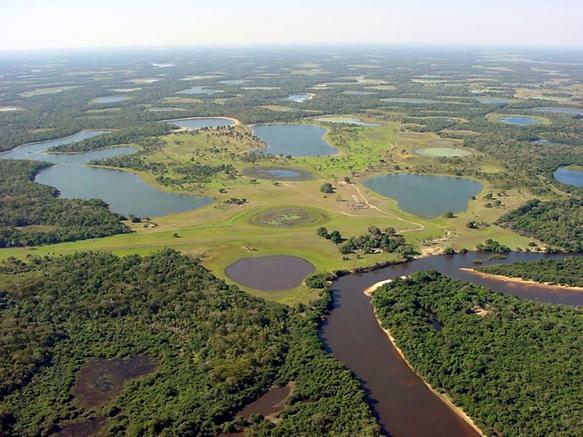 Deep in the heart of South America, in Southwestern Brazil, lies the world's largest freshwater wetland, the Pantanal. Close to the area where Brazil and Paraguay meet, on the far edge of the Pantanal, lies the source of preB (Prebiotics) – the Facenda Anew Ranch. The Pantanal's secrets have been hidden from the outside world due to its proximity to the mesmerizing, headline capturing Amazon River basin. But for the production of nourishing food, and enhancing them with incredible vitality, the Pantanal is eclipsed nowhere else in the world. Ten times the size of Florida's Everglades, this flooded plain of the Paraguay River is one of Earth's greatest natural phenomena. Habitat to over 650 bird species, 400 species of fish, more than 80 reptiles, and over 100 different mammals, it is also the home to 3,500 species of plants. During the rainy season water levels in the Pantanal rise over 3 meters (10 feet), nourishing the vast region with new, fertile soils (like the Nile in Egypt). The huge runoff from innumerable rivers and waterways creates a powerful natural water purifier. This rich biodiversity also creates an ideal growing climate for large numbers of fruits, vegetables, herbs, nuts, and seeds. Taking advantage of the unique Pantanal growing environment, Brazil Products grows, harvests, ferments, and combines over 50 of the world's most nutritious foods into a single, revolutionary product. In a very real sense, preB (Prebiotics) could not have been produced anywhere else in the world. Only the Pantanal affords the pristine growing environment, the long subtropical growing season for the incredible variety of 50+ plant ingredients, and the abundant rain to produce the rich variety of plants needed for preB (Prebiotics). And only the Pantanal has the purest spring water on the planet. When your body receives the rich benefits of the vital, living foods in preB (Prebiotics), you have the beneficence of the Pantanal to thank. 1. See more about the Brazilian ranch where preB (Prebiotics) is grown. Click here. 2. Learn why its pure spring water can make a difference for your body here. 3. Discover why preB's revoutionary fermentation can help you here.